Don’t you love the feeling of fall in the air? The smell of the cinnamon brooms as you walk into the grocery story always entices me. 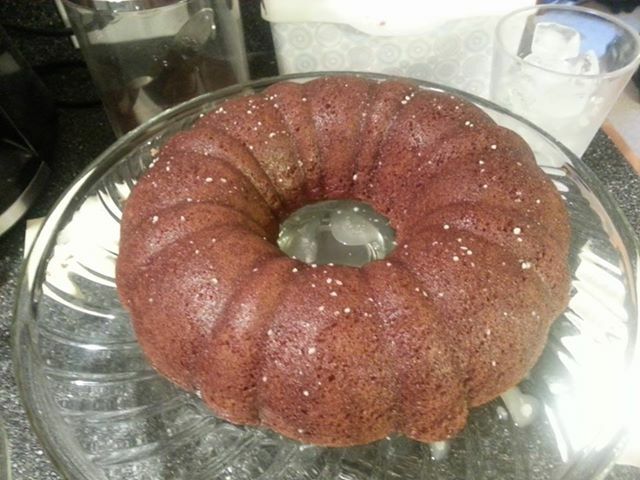 This past weekend I decided to try my hand at a cinnamon bundt cake and it was delicious. The cake was very moist and so easy to make. I was disappointed with the icing glaze recipe that was listed with the cake. I followed the instructions, but my glaze was clear and disappeared into the cake so I served mine with a little sweetened whipped cream too. I’m adding a different glaze recipe to this that should work better. In a small bowl combine the dry ingredients. In your mixer bowl, beat the butter. Add the eggs and vanilla and beat again. Add the dry ingredients and milk alternately in fourths, starting and ending with the dry ingredients. Mix well, scraping the bottom of the bowl to be sure the butter is incorporated. Spoon the batter into a sprayed or greased bundt pan. Bake at 325° for 50 minutes. Cool in the pan for 10 minutes, then transfer to a wire rack. Melt butter for glaze and then add the rest of glaze ingredients. Drizzle glaze over cooled cake. This is the time of year when everyone is making lots of holiday cookies and candies. This is one of my Mom’s favorite treats to have around Christmas so I had to come up with a gluten-free way to make them. The taste is just as good as the original and my Mom can’t get enough of them. Preheat oven to 350F. Coat a 9X13 pan with non-stick cooking spray. Place cookies in food processor and pulse until finely chopped. Pour cookies into a bowl and add your melted butter and then stir to combine. Press your cookie layer in the bottom of your pan spreading out evenly. Pour condensed milk over cookie layer and spread evenly. 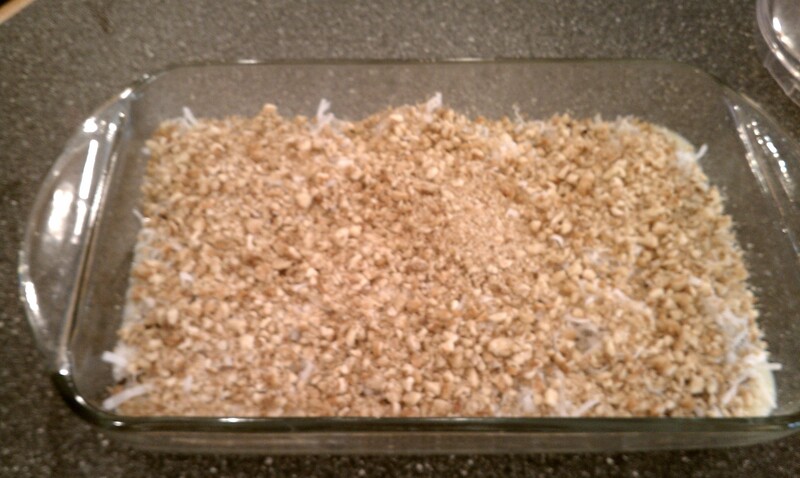 Sprinkle chocolate chips, then coconut and then top with your nuts. Now you are ready to bake! Bake for 25-30 minutes or until lightly browned. Loosen sides of pan with knife while still warm and then let cool. Cut into bars or diamond shapes. TIP – you can also line your pan with aluminum foil sprayed with non-stick cooking spray and then lift the foil out of the pan once bars have cooled. Ah, such a majestic bird. 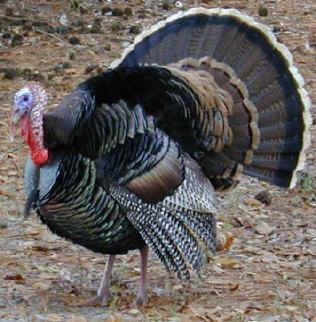 It is no wonder that Ben Franklin wanted to make the turkey the national bird of the United States. But I guess if that had happened we wouldn’t be able to enjoy eating the turkey around the holiday table now could we? November is the season for cooking turkey and in my house we like to try it in various ways. This weekend I used Claire Robinson‘s recipe for Twice Cooked Turkey Meatloaf and my family gobbled (LOL) it up! The recipe called for ground turkey, but my husband hates dark meat with a passion so I used ground turkey breast and it was delicious. Preheat oven to 375F and spray regular sized loaf pan with cooking spray. Mix all ingredients in a large bowl (reserving a portion of the sun dried tomato puree). Form mixture into loaf pan and cover with foil. Bake for 40 minutes and then spread remaining puree on top and cook for an additional 10-15 minutes or until meat reaches 165F on a thermometer. Let the loaf cool for a few minutes and then slice into 1-inch slices. Cook slices in a nonstick skillet sprayed with cooking spray until crispy on both sides. 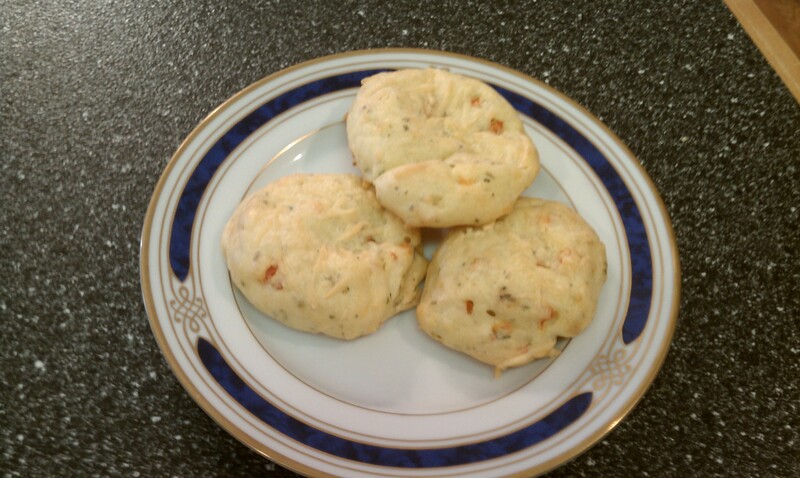 I just tried making this Land O Lakes gluten-free biscuit recipe and it is a winner! I tested it out to see if it was worthy of an addition to our Thanksgiving menu since my Mom and I can’t eat the usual rolls we’ve had in the past. My husband agreed that this would make a fine Thanksgiving bread item. I used parmesan cheese this time, but for Thanksgiving I’ll try it with the Asiago instead. Heat oven to 400F and line some baking sheets with parchment paper. Place water and butter in a 2 quart saucepan and cook over medium high heat until mixture boils. Let boil for 6-8 minutes and then reduce heat to low. Stir in flour and garlic salt vigorously with a whisk until mixture leaves sides of pan and forms a ball. Remove your pan from the heat and add eggs one at a time whisking well after each addition. Mixture should be nice and smooth when you get done. Stir in 1 c of cheese, red pepper and basil. Immediately drop dough by teaspoonfuls on baking sheets. Sprinkle each biscuit with some of the remaining cheese. Bake for about 20 minutes or until golden brown. Serve warm. My son is eight years old and is one of the pickiest eaters I know. He HATES vegetables with the exception of corn and he only tolerates that one. He likes what he likes and is very hesitant to try new things which is the exact opposite of me. I will eventually talk him into trying at least a miniscule bite and 99% of the time his response is “That’s disgusting.” On rare occasions he discovers a food that he really loves like his recent introduction to nachos. He would never try them before and now they are one of his favorite dinner items. I am happy to say that today was another day when my son discovered another food that he really likes. 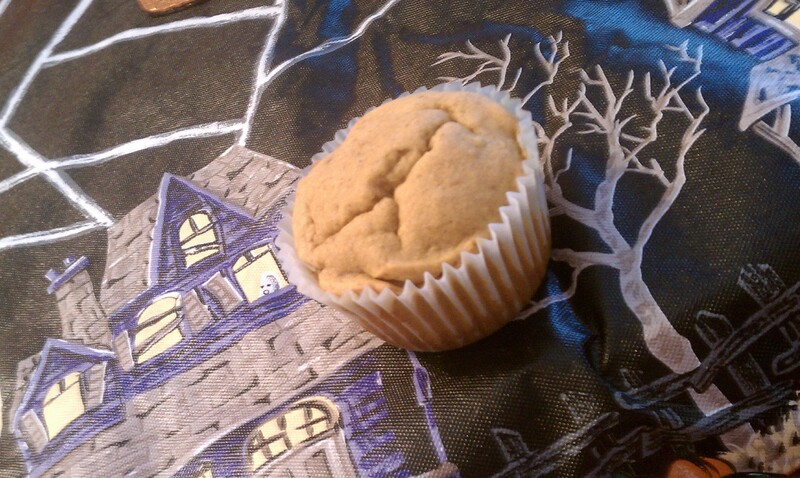 I decided since it was a gorgeous fall day out that I would make some gluten-free pumpkin muffins. I took a recipe from www.kingarthurflour.com and made some minor adjustments. This have been some of the most moist muffins I have made to date. Preheat oven to 375F and line muffin pan with papers. This recipe said it only made 12 muffins, but I was able to make 18 regular size muffins. Whisk the eggs, molasses, vanilla and pumpkin together in a bowl and set aside. In another bowl whisk the flour, sugar, baking powder, xantham gum, salt and other spices. Add the butter to the flour mixture and mix with an electric mixture until evenly crumbly. Add the egg mixture to the flour mixture 1/3 at a time beating well. Once all combined beat for 1-2 minutes until batter is fluffy. Fill your muffin cups with the batter and let them rest for 10 minutes. Bake the muffins for 18-20 minutes until a toothpick comes out clean. Best served warm with a little butter on them. We each enjoyed a warm muffin after they came out of the oven and then both my son and daughter wanted a second one. After my son asked for a third muffin I carefully checked his forehead for fever and then asked him if he knew what was in the muffins. He said “They are orange so of course pumpkin.” When I told him that maybe he shouldn’t have a third one because he might spoil his dinner he stated “Mom, they have vegetables in them.” I couldn’t argue with that so I let him have his third helping.